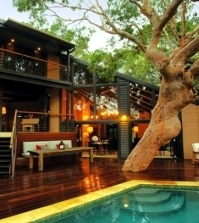 Home > Garden Design > Aquatic plants in the garden pond – these are your favorites? 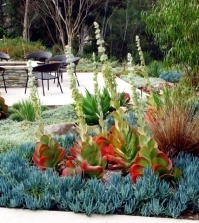 In recent years, we see more and more common in the landscape of public and private gardens, they also contain one or even decorative water areas. 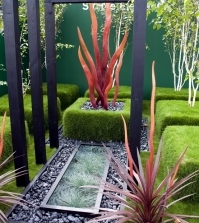 Your aesthetic arrangement requires certain skills, not least, knowledge of the specific aquatic plants. The course has a direct link with the mandatory placement for a detailed map preparation. 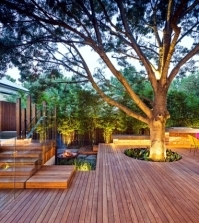 Read here what you should consider if you want to water the plants in the garden pond. Biological needs of this group of aquatic plants and wetlands are critical to their development. Some of them grow right in the water, others in close proximity to water, so the location is ideal and sometimes the depth of water is essential. This is the area in which the plants are actually immersed in water, partially or completely develop underwater. The ornamental species are excluded from this area because they remain largely hidden below the water surface. 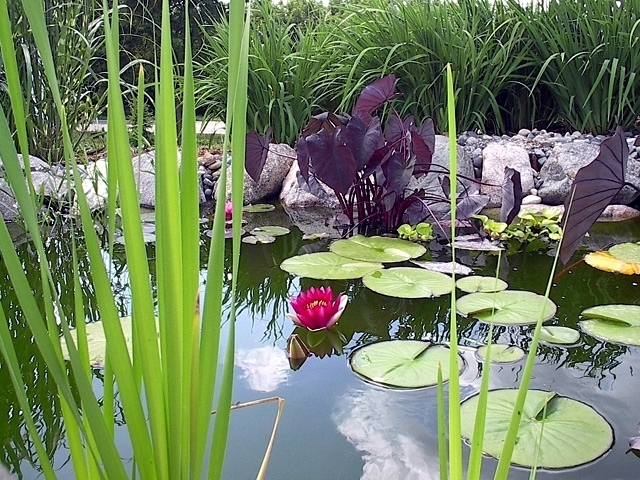 But deep aquatic plants in the area are important to the overall balance of the ecosystem, filter water and food for aquatic life. 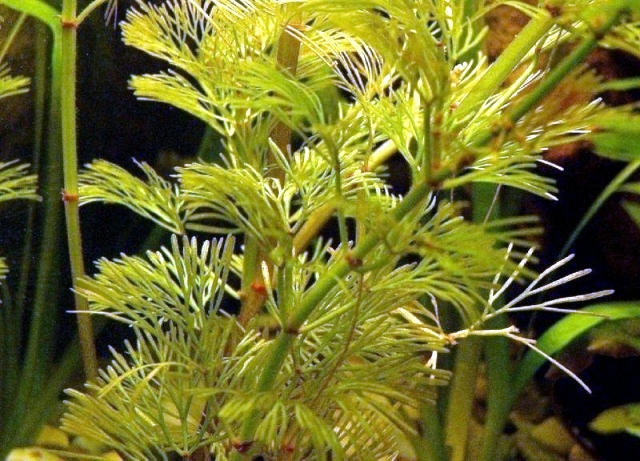 Typical representatives of this group are green Karolina Haarnixe (Cabomba caroliniana) and Vallisneria americana, which are essential in terms of water filtration. This group includes species whose roots are embedded in the soil at the bottom, while the leaves appear on the surface. 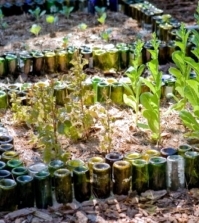 Planting is often protected by a geotextile, which are on the ground in special baskets. 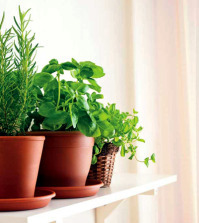 The best time to plant these floating plants is in late spring and early summer, but, if necessary, can also occur throughout the growing season. Among the most common representatives of this group include Lotus (Nelumbo), the European heart float (Nymphoides peltata of) four petals Australian Kleefarn (Marsilea mutica), floating fern (water sprouts) (from pteridoides Ceratopteris) and others, show that a 'wide variety of vegetation on the surface of the water. 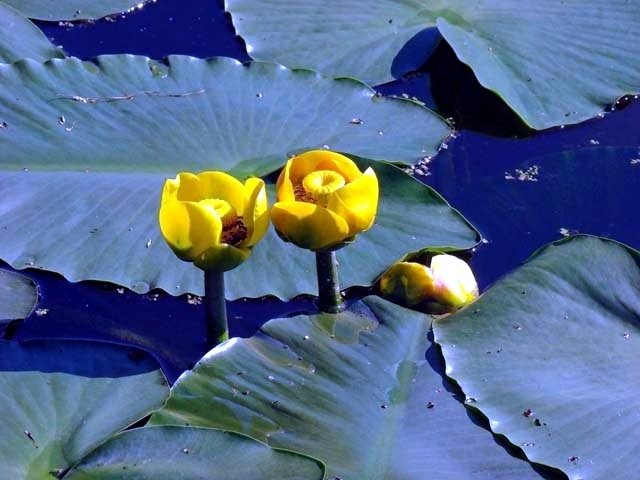 However, the queen of floating plants is the water lily (Nymphaea). 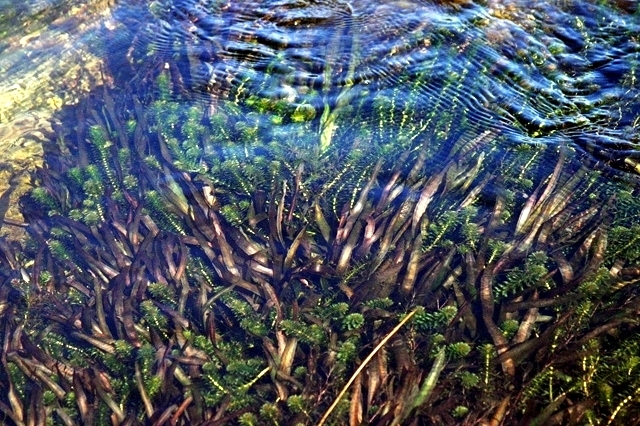 It has large, beautiful leaves, which can be a good cover for fish in the lake. 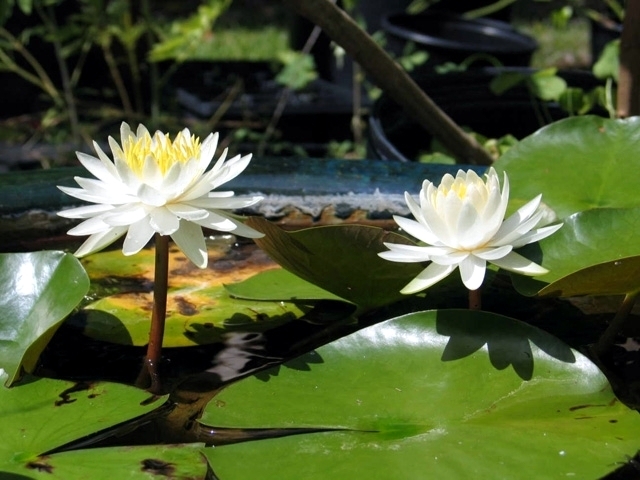 Water lilies need calm water and the majority of species require sunlight for at least 4-6 hours per day. 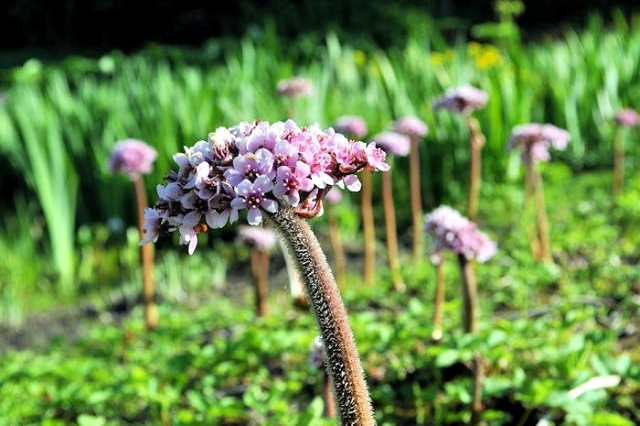 The flowers of certain types open in the morning and close at sunset. 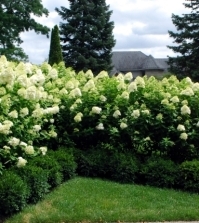 Selected varieties are available in white, pink, salmon pink, and there's a nice kind, whose flowers resemble peonies. 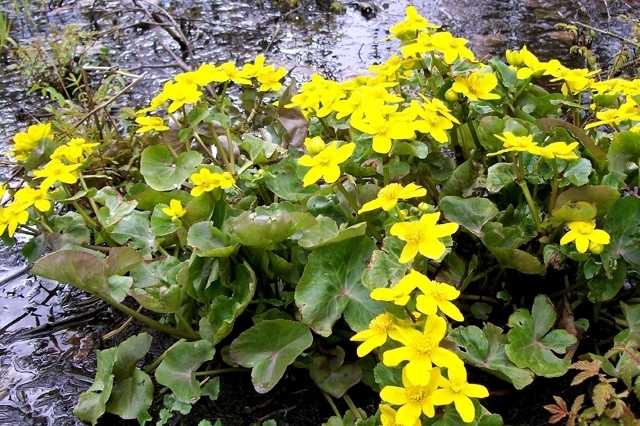 These aquatic plants continue to emerge without the use of soil for a contact. In a favorable environment, the representatives of this group multiply rapidly and take large bodies of water. For this reason, it is recommended to final disposal. 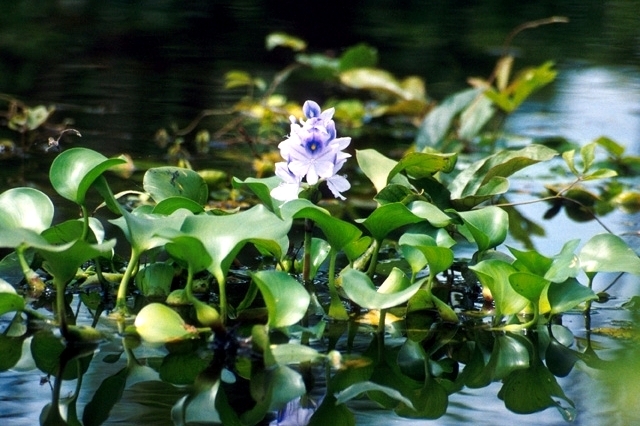 Floating aquatic plants are typical: water hyacinth (Eichhornia crassipes), yellow water lily (Nuphar lutea), Sekanne Humboldt (Humboldt Nymphoides), water chestnut (Trapa natans) and others. This region extends to a depth of 10-40 cm. 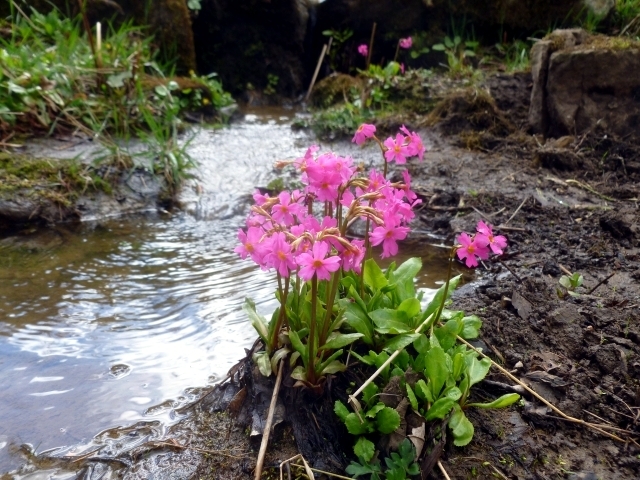 The main stems and roots of the plants are in shallow waters, but the ornamental leaves and shoots are above the surface. This group represents the transition between the flora of the area and deep marsh vegetation. 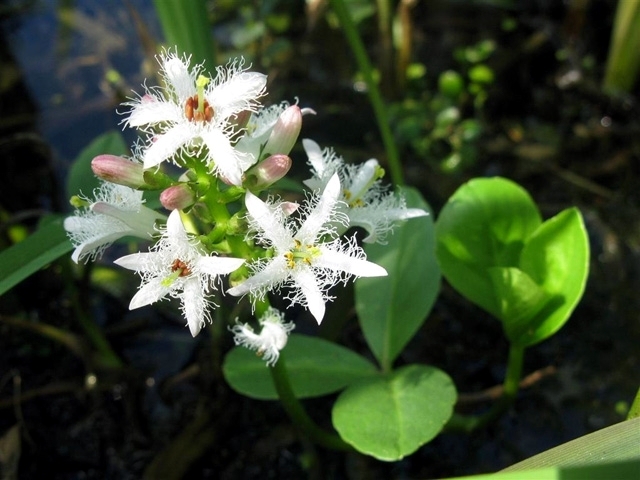 Typical examples are the Indian calamus (Acorus calamus L.) leaf cattails (Typha latifolia), the tail of the Sea (Hippuris vulgaris), iris (Iris seudacorus), water clover (Menyanthes trifoliata), flowering rush (Butomus umbellatus ), and others. The marsh is caused by periodic flooding, which it is exposed. In general, the marsh plants do not grow very much. Typical of the area are: Arum (Calla palustris), the Bach Veronica (Veronica beccabunga), yellow iris (ir laevigata), marshes (Calthapalustris) Re Lobelia (Lobelia cardinalis), water mint (Mentha aquatica), forget-me-not ( Myosotis palustris) and the like. This is the region of the constant soil moisture, which is located near the boundaries of the surface of the water. 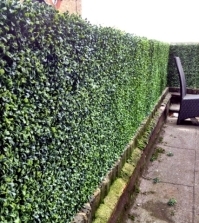 This area is loaded with the characteristics of a smooth transition between the comb and the rest of the garden. 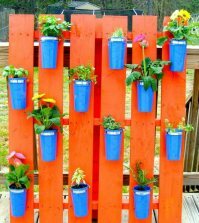 Depending on the composite structure can be there to grow a wide variety of plant species. 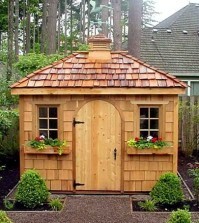 If you want to dominate the green, you can put on decorating styles. 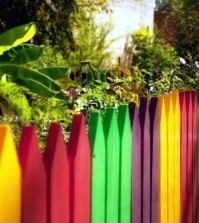 If you prefer the dynamic contrasts and variety of pastel colors look more flowers and special shapes. 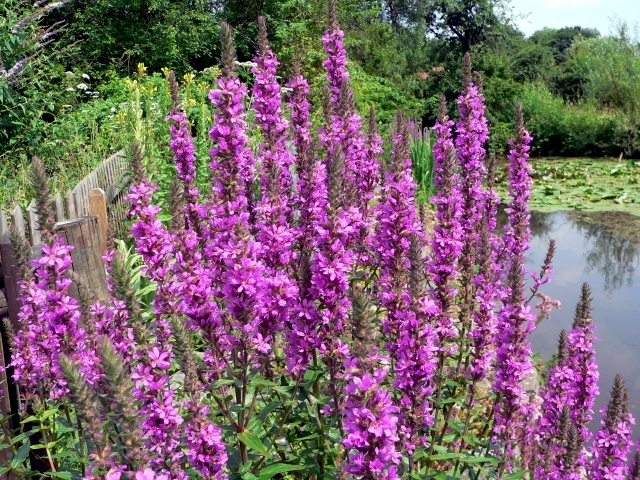 Suitable facilities for wetlands: Indian Marigold (Darmera of peltata), purple wren (Filipendula purpurea), Ligularia, purple loosestrife (Lythrum salicaria), Mimulus (Mimulus luteus), pink primrose (Primula Rosae) and the like. 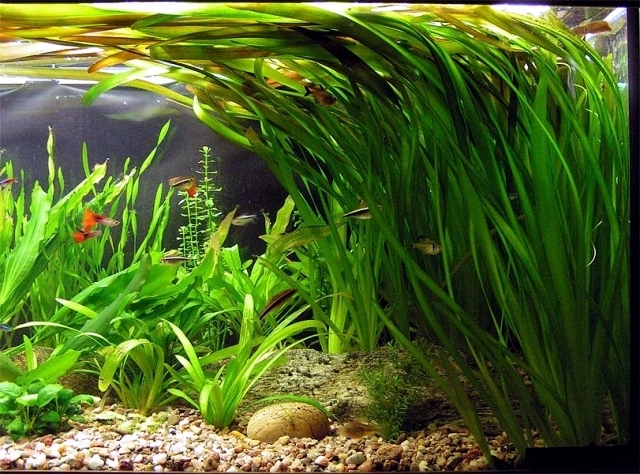 Before planting aquatic plants, you can plant a few days stay in the water so that the temperature is equalized. When planting marsh plants, you need to follow some rules. 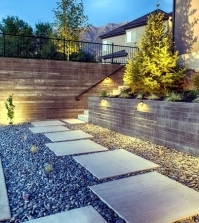 First, it is necessary to ensure adequate lighting for the normal development of these plants. 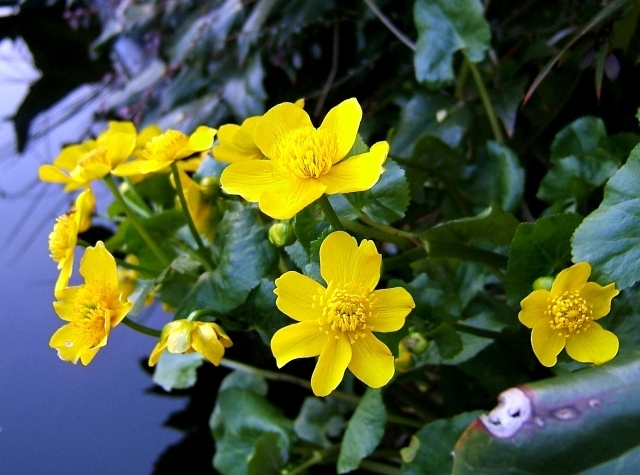 The majority of winter ornamental aquatic plants in the water, so be careful when it comes to exotic species. 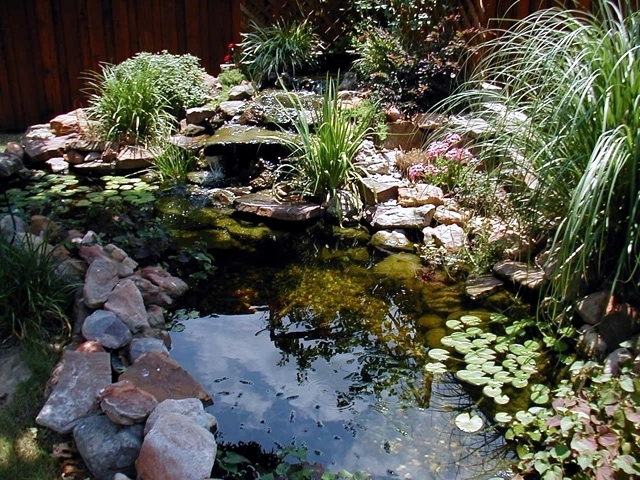 For the pond water around you to plant perennials that do not need much care.